ST. JOHN'S, N.L. - News of a major oil find off Newfoundland was welcomed Thursday in a province that leans heavily on offshore earnings although potential production is not expected until after 2020. "It's not that often a company makes an oil discovery of this size," said Geir Richardsen, vice-president of Statoil Canada Exploration. "For starters, it is the biggest oil discovery we've ever done outside the Norwegian (Continental) Shelf," he said in an interview. "It's a significant achievement for us." Statoil, an international Norwegian energy firm, announced with its Calgary-based partner Husky Energy (TSX:HSE) a reservoir of light crude believed to hold between 300 million and 600 million barrels of recoverable oil. It was discovered in August while drilling in an area known as the Bay du Nord prospect, about 500 kilometres northeast of St. John's, Richardsen said. It's the firm's third find in the Flemish Pass Basin in the North Atlantic and is described as the 12th largest oil discovery in the world in the past four years. "But I won't commit to anything on the timing of development today." "With only a few wells drilled in a large licensed area, totalling about 8,500 square kilometres, more work is required," said Tim Dodson, executive vice-president of Statoil Exploration. 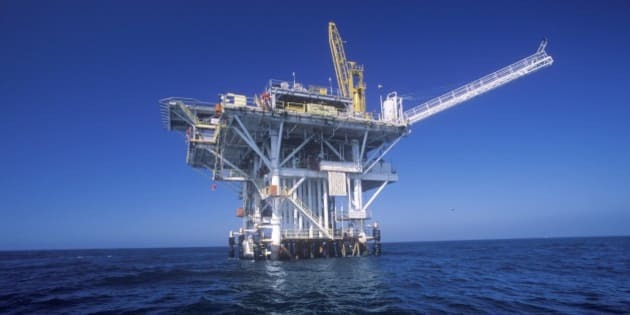 Provincial Natural Resources Minister Tom Marshall said the announcement is big news in a province where the offshore oil industry accounts for 33 per cent of gross domestic product. "It's a game-changer for Newfoundland and Labrador because it now proves that there is oil in our province's deepwater basins," he said in an interview. "We think this is going to encourage, in a substantial way, increased offshore exploration activity." Oil production was worth $8 billion and royalty revenues $2 billion last year, Marshall said. He described Statoil's announcement Thursday as one of the largest conventional oil fields ever found off Canada. Marie-Christine Bernard, associate director of the provincial forecast service for the Conference Board of Canada, said it could be worth big money for the province. "There's not a lot of detail right now," she said from Ottawa. "But it seems to be a project that would be at least comparable to Terra Nova or White Rose." Richardsen said the ongoing exploration phase alone will sustain about 600 local jobs. Current production fields in the Jeanne D'Arc Basin are in about 100 metres of water more than 300 kilometres southeast of St. John's, and while the Bay du Nord finds are in deeper waters and farther out to sea, Richardsen said that would not pose a problem for production. "This is something we are used to from other parts of the world," he said. "We have experience for that depth and we are currently developing a discovery in the Norwegian Shelf at the same water depth. "It's not higher risk, it's just different planning and different technologies." Federal Natural Resources Minister Joe Oliver announced in June plans to raise the corporate liability cap to $1 billion from $30 million for environmental and other damage that could result from offshore oil drilling. Environmental activists said it's not enough, noting that widespread pollution from the BP Deepwater Horizon blowout and massive oil spill in 2010 has cost more than $40 billion. The drilling rig sank in about 1,500 metres of water after an explosion killed 11 workers. Engineers struggled to cap the well as it gushed oil into the Gulf of Mexico for almost three months.